Eric and Heather were married in 2001 with a shared desire to spend their lives making Jesus Christ known by training leaders for the church among the least-reached. Since then God has prepared them through Eric’s study at The Master’s Seminary (M.Div., ‘03) and Dallas Theological Seminary (Ph.D., ‘13), nine years of pastoral ministry in Texas, and living and teaching in North India from 2013 to 2015. 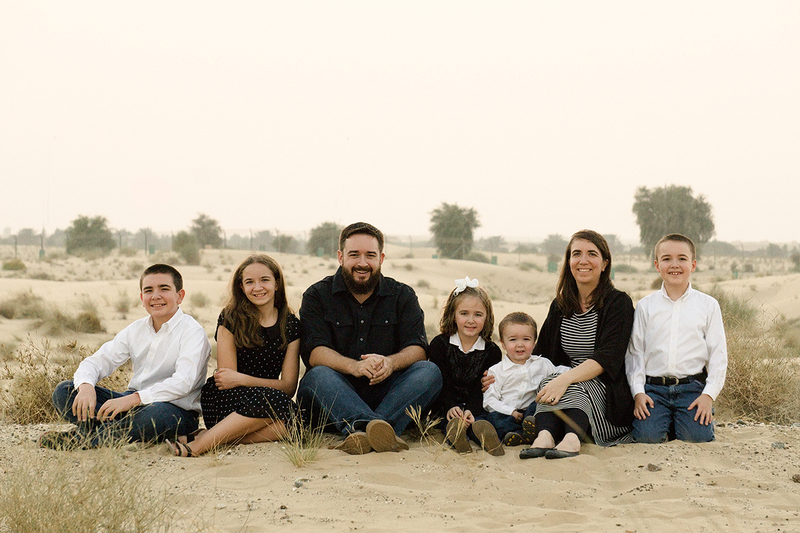 Since 2015 Eric & Heather, along with their five children, have been in a major city on the Arabian Peninsula, where Eric teaches seminary classes and directs a center for equipping pastors and church planters from closed countries to plant healthy churches and spread the Gospel throughout the 10/40 Window. Eric & Heather are also active in church ministry, discipleship, and evangelism among the many nationalities living in their city.